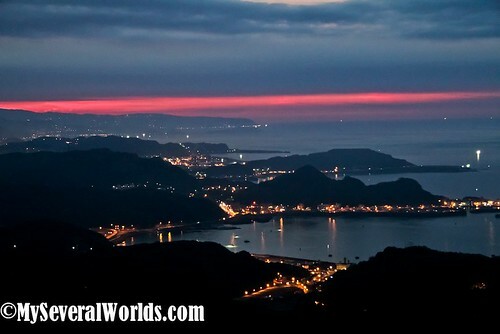 You only need to visit Jiufen once to see the magic in this place. 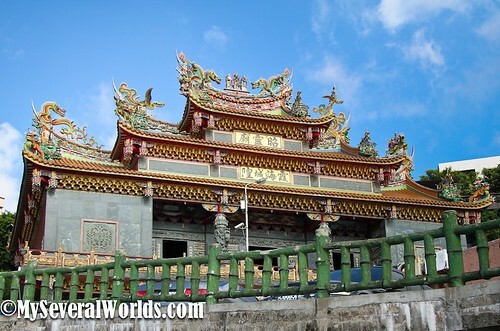 Jiufen is a small mountain village located in the Ruifang District of New Taipei City. The village was once home to nine families in the Qing Dynasty, and was named Jiufen for the number of shipments that were delivered to the town. (Jiu means the number nine in Chinese, and fen is a measure word for a portion of something.) Nine portions were always requested whenever shipments were delivered to the village, and the name stuck. 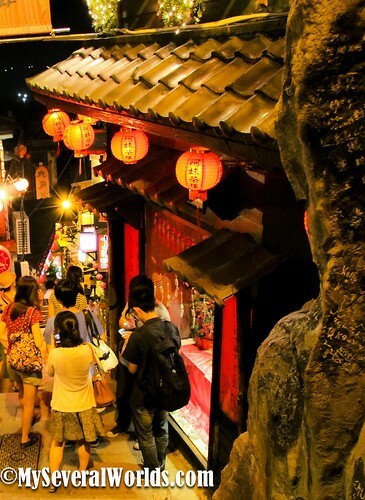 In addition to being one of the prettiest towns in Northern Taiwan, Jiufen is special because of its location. 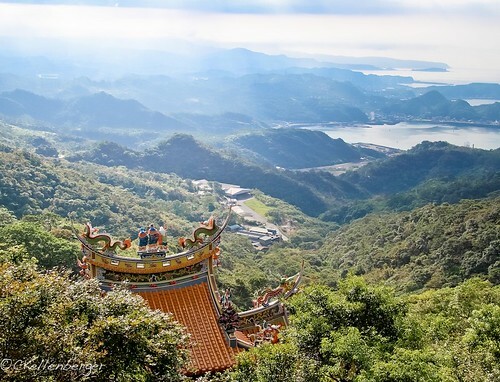 The mountain roads leading to Jiufen are narrow, steep, and winding; and the village itself is set atop a mountain and offers stunning views of the ocean. 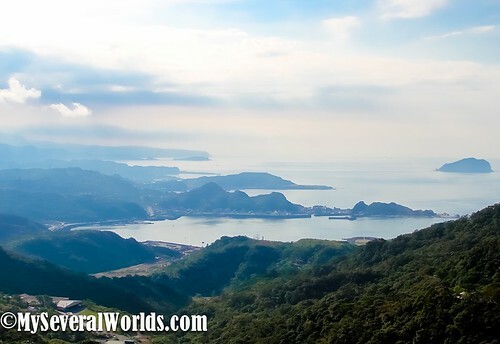 There is gold hidden in these mountains, and the discovery of it in 1893 lead to Jiufen’s first gold rush. This sparked an interest in its development as a proper town. The gold rush reached its peak during the Japanese rule, and that is why you can still see so many Japanese inns in the are today. In fact, many of the buildings there have remained unchanged. The mine was closed in 1971 and Juifen started to fade back into obscurity, but then it became famous once again when it became the focus of two films. The 1989 film A City of Sadness was filmed in Juifen, and the village experienced a revival owing to the film’s success. 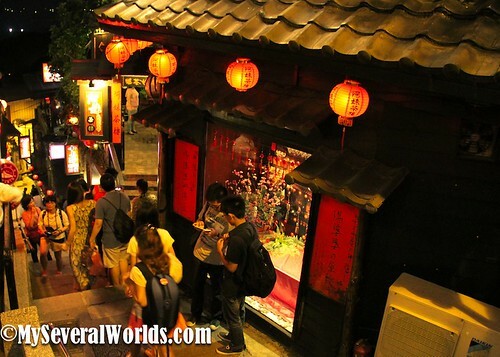 In the early 1990s, Jiufen experienced a tourist boom because of how it was portrayed in A City of Sadness, and much of what was built back then to accommodate the tourist industry is still there today. In 2001, Studio Ghibli released a Japanese animation film called Spirited Away. The movie is about a young girl who moves with her family to a new home and enters a spirit world. 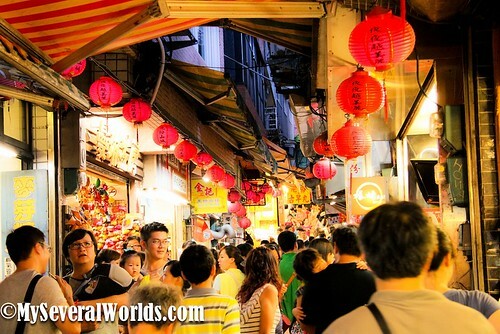 It is said that the creators drew inspiration for their spirit world from the streets of Jiufen. Jiufen is known for its distinctive red lanterns and cobblestone stairways, and its small alleys and lanes that hold untold treasures. 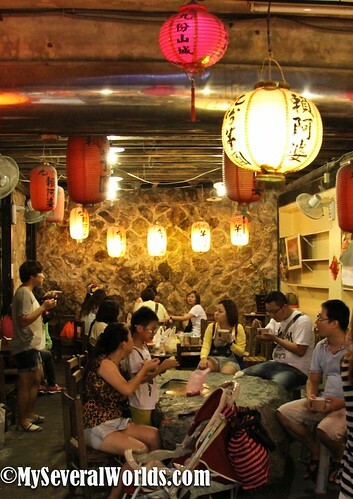 It’s also home to lots of cool little retro style Chinese and Japanese teahouses, cafés and restaurants. Back in the day, these teahouses were very popular with Taiwanese writers and artists, many of which hold articles of historical significance. People come here to purchase beautiful handmade ceramics as well as high quality tea. 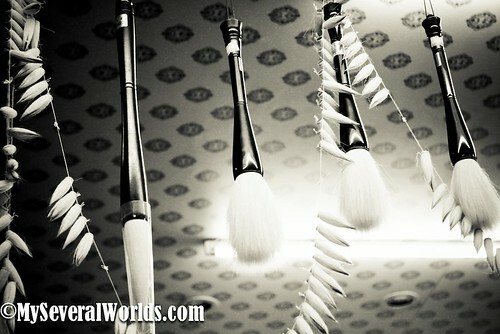 You can also browse through numerous artisan shops and souvenir stands. Can you spot my husband? My favorite part of Jiufen, other than the architecture and scenery, is the same as it is in every small town in Taiwan: the food. 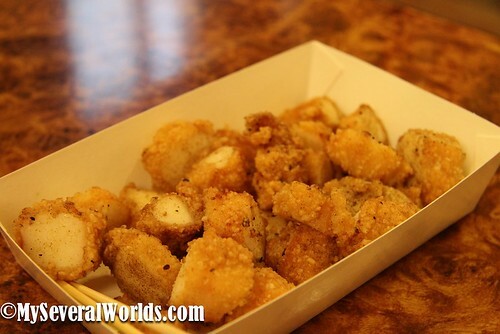 Fresh deep-fried squid, roasted golden King mushrooms, seafood of all sorts, soft chewy taro balls, and fresh tea can be found everywhere. 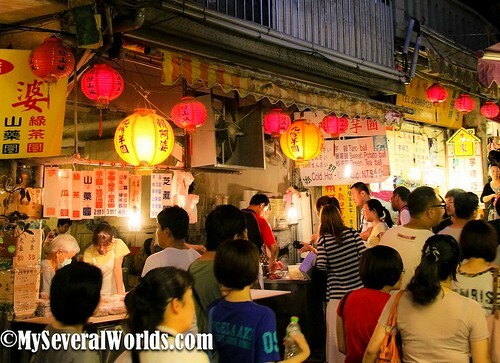 The rows of food stands that are set up along Old Jinshan Street and Shuqi Road serve delectable Taiwanese snacks. 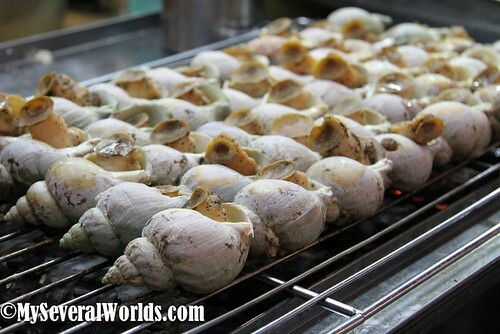 One of the charming things about living in Taiwan is that every city/town/village has its only speciality. 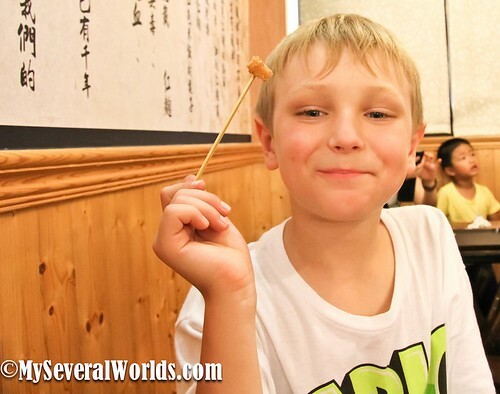 Taichung is famous for its suncakes, Penghu is famous for its cactus ice cream and brown sugar candies, and Jiufen is known for its delightfully chewy taro balls. 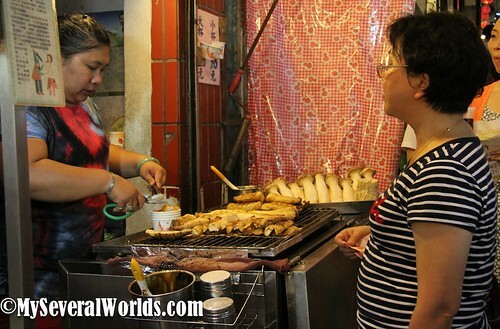 This is a must-try in Jiufen, and there are plenty of taro ball dessert shops on this street. 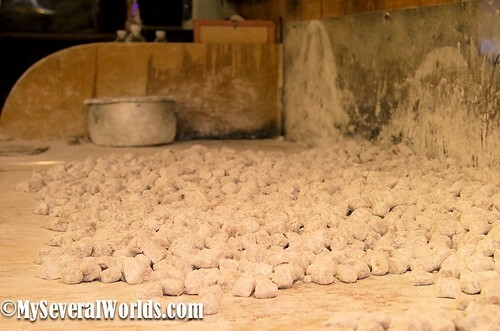 The most famous is Grandma Lai’s Taro Ball Shop. Jiufen Old Street snakes through most of the village, and this is where you can find the best shopping. 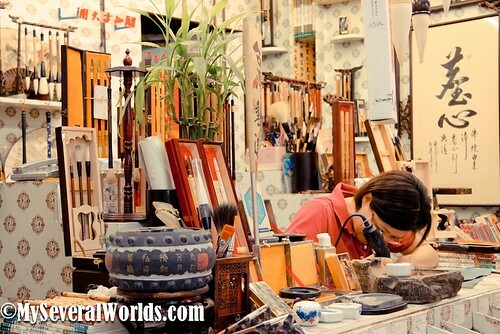 There is a diverse array of local handicrafts and souvenirs on sale here, and there are a number of specialty shops that sell bamboo artwork, wood handicrafts, and children’s toys. There are numerous restaurants in the area that offer outdoor patio seating – The perfect place to sit and watch the sun set over the ocean. Once darkness arrives, the village falls under the light of its warm, soft, red lanterns. Caleb enters a kitschy little teahouse to see what kind of view they have from the patio. We approve! Whenever you see photos of Jiufen, you are likely looking at photos of Shuqi Road. This road consists of a number of stairways with teahouses, curry shops, and art retailers to be found on each side. 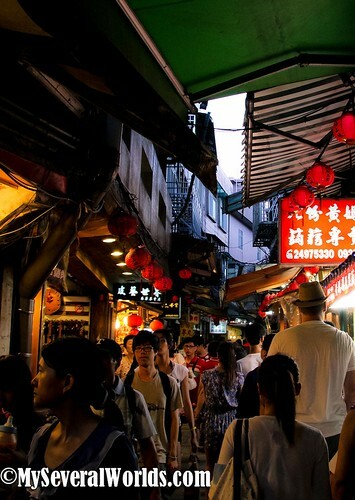 People come to Jiufen to walk along this famous street and to take photos. This street was also the main inspiration for Studio Ghibli’s 2001 Japanese animation film Spirited Away. 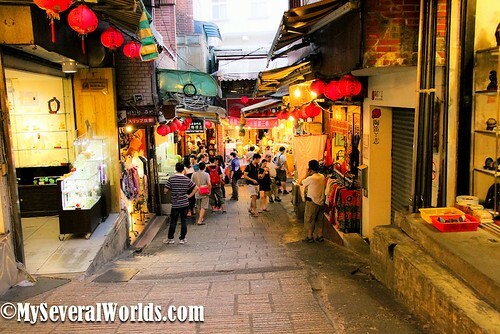 Visitors don’t just go to Jiufen for the atmosphere, shopping, and the food, although shopping on Jiufen Old Street is probably the main reason why people visit Jiufen. You can also go hiking on nearby Mt. Keelung. 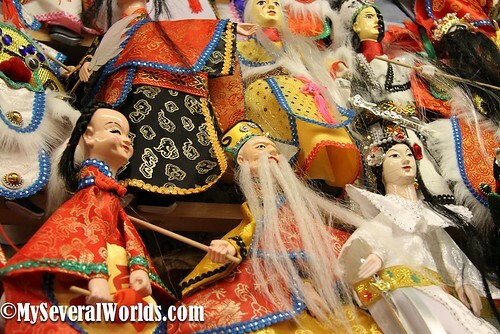 The Jiufen Kite Museum displays beautiful kites from all over the world. Classes are available for visitors that want to try their own hand at kite making. 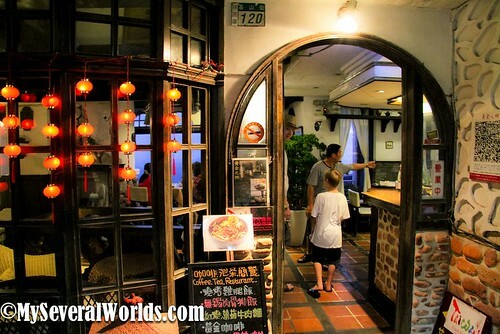 Enjoy some traditional Taiwanese tea at a local teahouse. 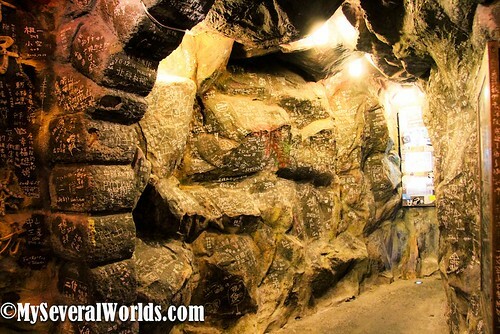 Visit the Gold Museum and learn about Jiufen’s history as a gold-mining town. Spend some time in Jinguashi Park. Stay at a local inn and enjoy the evening. Wake up the next morning and have breakfast in view of the ocean. Take the train to Reuifang Station on the TRA Yilan Line. From there, you can catch a local bus across the street from the train station. Look for the bus stop next to the Welcome Mart and board the Keelung Transit Bus heading to Jiufen. Buses depart from several points in and around Taipei and from Keelung. Zhongxiao Fuxing Exit 1 – Take bus1062 (Keelung) to Jiufen. Wait in front of the pavilion next to the 7-11 to catch the bus home. The 7-11 is next to the Jishan Street Entrance. The journey takes between one and two hours by public transport.